32nd Annual HEW features more than 100 Programs Across the GTA By Daniel Koren-- Now entering its 32nd year, Holocaust Education Week (HEW), which runs from November 1 to 8, has become a beacon for the Greater Toronto Area; a civic event with international impact. For this year’s program, a particular emphasis will be placed on cultural interpretations of the Holocaust, aimed to educate and inspire Canadians of all ages. Presented by UJA Federation of Greater Toronto’s Sarah and Chaim Neuberger Holocaust Education Centre, chaired by Honey Sherman, HEW is the largest Holocaust educational forum of its kind, featuring a diverse selection of educational, cultural and community programs every November engaging Jews and non-Jews alike about the Shoah and its legacies. This year’s program will feature both international and local luminaries exploring the culture of memory, with artistic, testimonial and scholarly programs reflecting upon personal and public remembrance. “We’ve taken a new direction this year by placing an emphasis on artistic and literary representations of the Holocaust spanning across generations and nationalities,” said Mira Goldfarb, Executive Director for the Neuberger Centre. “Reflecting upon the Culture of Memory invites new audiences and new generations to engage both in the universality and the specificity of the Holocaust. The programs are diverse and compelling, offering multiple points of entry and dialogue.” The opening night program of Holocaust Education Week takes place on Thursday, November 1st at the Royal Ontario Museum with renowned author Nathan Englander (in conversation with Sara R. Horowitz, Director of the Israel and Golda Koschitzky Centre for Jewish Studies at York University), whose short story collection What We Talk About When We Talk About Anne Frank, explores Jewish identity in the contemporary, post-Holocaust, world. Englander will appear again to further this subject on the panel “Anne Frank in the Contemporary Imagination,” the morning of November 2, at the University of Toronto’s Centre for Jewish Studies. Over 100 programs will run throughout the week with international guests as well as local treasures, including a choral concert at Holy Blossom Temple, which will pay homage to the diverse musical traditions of European Jewry, by acclaimed musical director Cantor Benjamin Maissner and the Lachan Jewish Chamber Choir, appearances by both current and former, Chancellor Rose Wolfe and Ray Wolfe Professors of Holocaust Studies at the University of Toronto, Doris Bergen and Michael R. Marrus, a lecture on creating Holocaust memory by founding Rav of Beth Avraham Yoseph of Toronto Congregation (BAYT), Rabbi Baruch Taub, and award-winning author Alison Pick, whose novel Far To Go was long-listed for the prestigious Man Booker Prize. This year’s program will also provide ample opportunities to hear survivor testimony and memoir including several Azrieli series authors and members of the Neuberger Centre’s Survivor Speakers’ Bureau in conversation with educators. 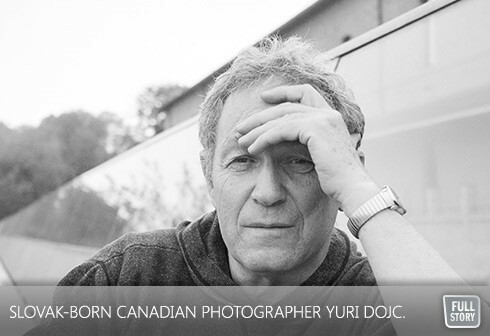 HEW 2012 will also feature the inauguration of an Artist-in-Residence with Slovak-born Canadian photographer Yuri Dojc, with his compelling series, The Last Folio. His memorial installation was recently completed at Shaarei Shomayim Congregation and will be on view during his talk there on November 5 in conversation with UofT’s Centre for Jewish Studies Director, Jeffrey Kopstein. Coinciding with the 74th anniversary of Kristallnacht, closing night of Holocaust Education Week will feature a candle lighting ceremony and a powerful performance by The ARC Ensemble (Artists of the Royal Conservatory) at Beth Tzedec Congregation on November 8. The repertoire to be performed acts as a cultural tikkun olam (act to repair the world), embodying the spirit of the Jewish people, and the influence Holocaust Education Week has on its thousands of participants each and every year. For a complete listing of the more than 100 free programs taking place during Holocaust Education Week (November 1 to 8), please visit holocausteducationweek.com.